Johnnie Kuroda and Dixie Prince was formed in 1990, making it one of Hokkaido’s longest-established jazz bands. Focussed on their base in Sapporo, they are extremely active at many live venues. 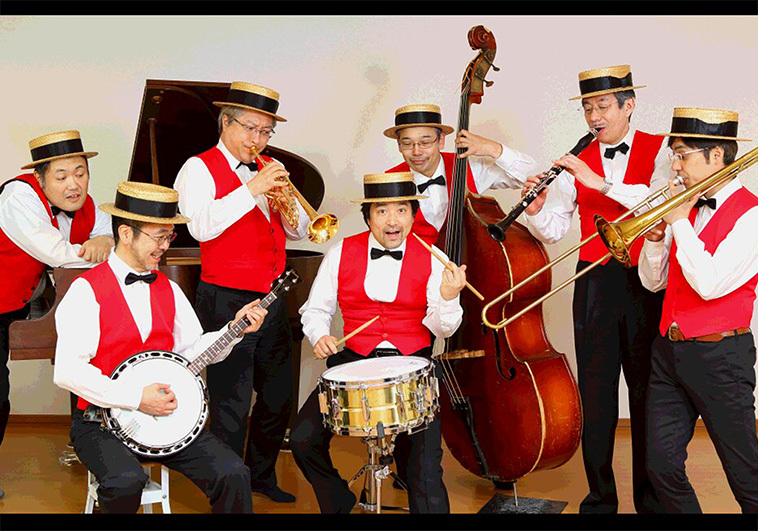 Since 2005, they have also become a yearly fixture at the Trad Jazz Festival in Shinjuku. They deliver traditional and nostalgic jazz staples with a clear and authentic style based on an orthodox ensemble of instruments including trumpet, trombone, clarinet, piano, banjo, bass, and drums. They have released three CDs, “A Portrait” in 2004, “Come on and Here!” in 2007, and “What a Wonderful World” in 2014. Get your signed copies at the WMDF shop!